I think one of the greatest honors I'll ever have in my entire career is having been my little brother's engagement and wedding photographer. 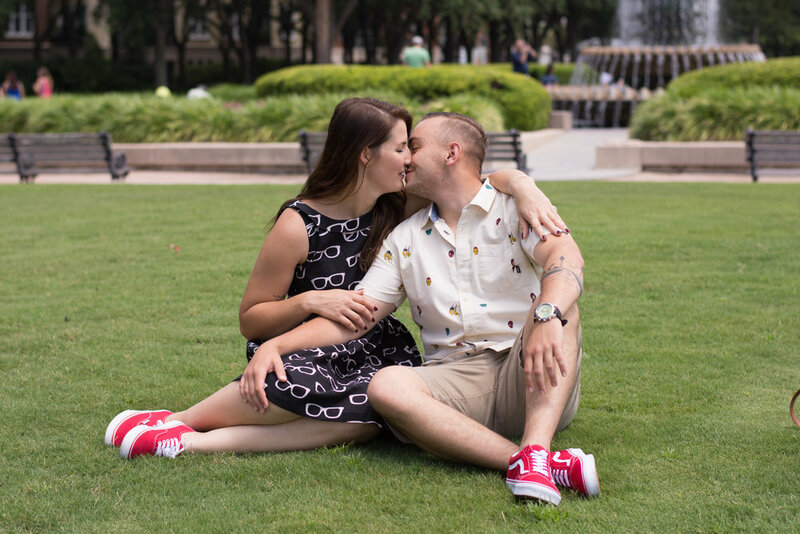 In college, Travis met a gorgeous girl named Sarah but was to intimidated by how amazing she was to make their relationship anything more than a great friendship. Fast forward a few years and both are out of school, Travis is stationed in California as a member of the US Coast Guard, and Sarah is living and working in an aboriginal community in Australia, and while he was working night duty, they reconnected online. 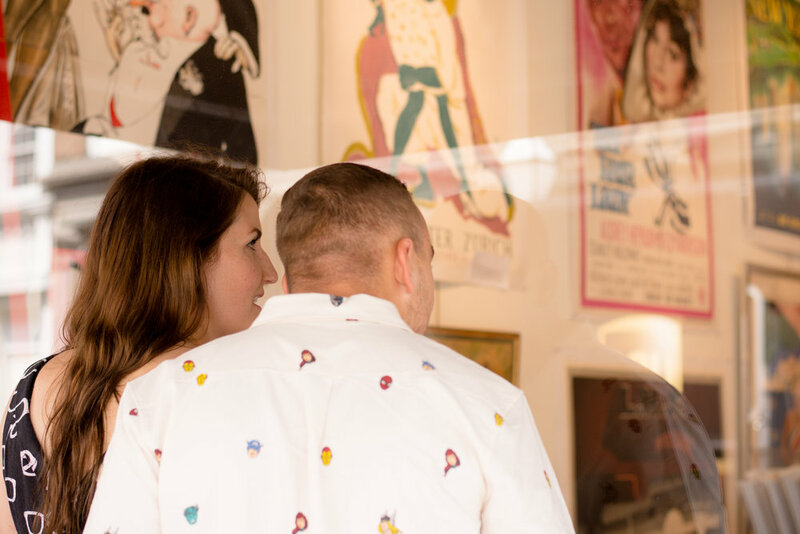 Like quickly turned to love which quickly turned into "I don't want to spend my life with anyone else," and before we knew it Sarah was on a plane back home to the US and we were all planning a wedding! 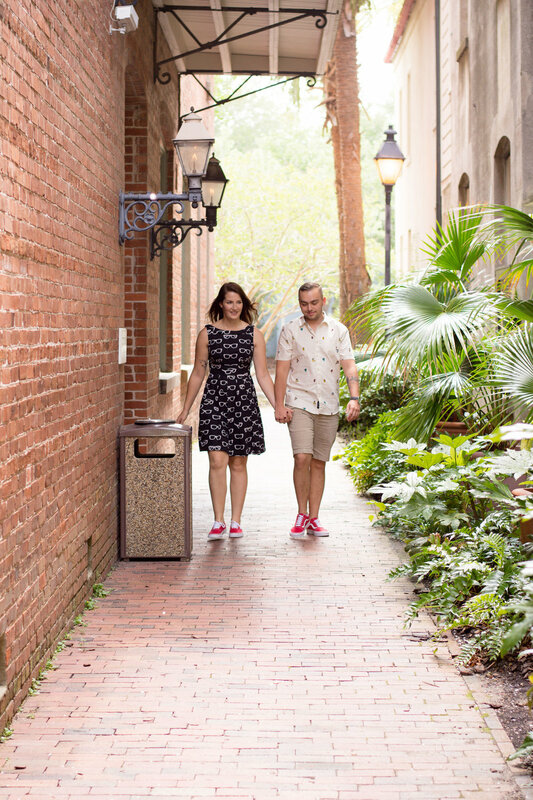 Travis and Sarah loooooooooove movies, old Hollywood, and all things LaLaLand, so while we were exploring downtown Charleston together and showing Sarah some of our favorite spots (Travis and I have both lived in Charleston previously, and I actually lived in downtown while I attended College of Charleston) we kept the movie in mind as I posed them in various spots. 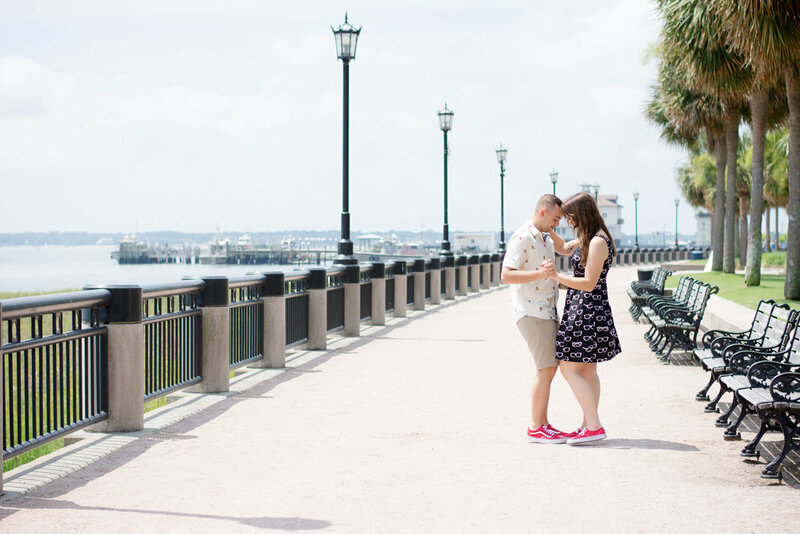 I wanted their session to have that classic whimsy and really reflect the two of them, and we made exactly that happen. 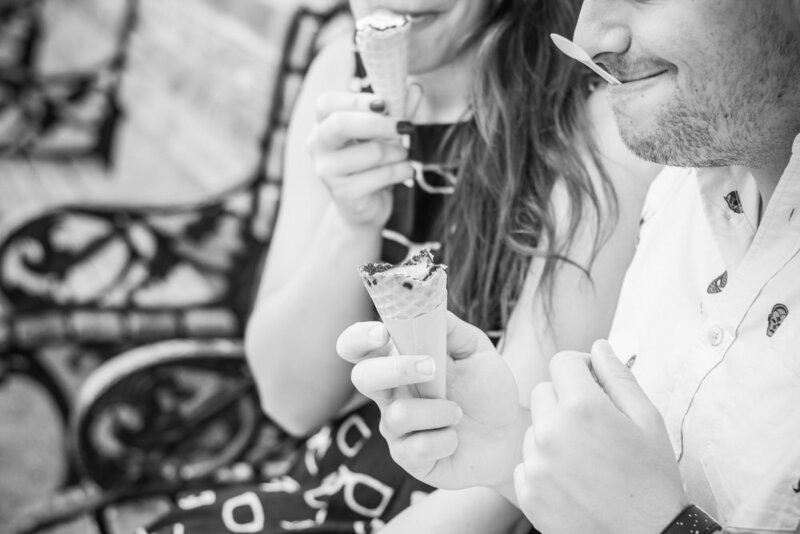 Since it's summer, and it's really, REALLY hot in the South right now, we paused for ice cream...and by paused I mean incorporated it into their session because of course engagement sessions should include ice cream cones. Sarah is an incredible woman and so sweet and fun and adorable, I am SO happy that Travis chose her because now I have the best sister. I begged mom for years to give me a sister and somehow all that begging never paid off with her, but apparently my brother was listening and he delivered! I can't wait to share their wedding photos soon--it was the most beautiful day and they looked so very glamorous. I'm sure the whole time I'm writing that blog post I'll be in tears.